Both of us recently had the chance to visit different Body Shop locations to get acquainted with their new products and to take some home to try out. Luckily both of us left with different products and it just so happened that we received items that both of us loved. Our most favourites so far are all in the ever growing Spas Of The World range, so we thought we’d do a post on our new Body Shop loves. I have really sensitive skin, so I’m always on the hunt for a good body scrub that will do the job and won’t tear up my skin. 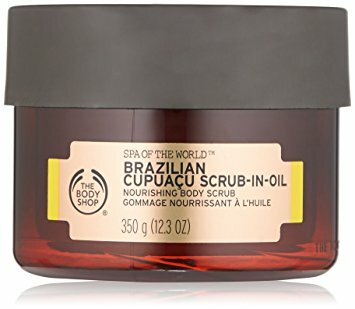 When I tried this scrub on my hand in the store I was amazed at how scrubby yet gentle it was. 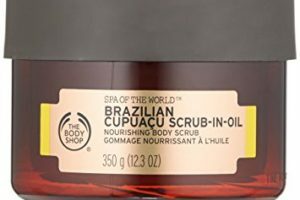 With a combination of French grape seed powder and sugar from Paraguay, you can really get that dead skin off without feeling like you scrubbed yourself raw. The scent, that I assume comes from the grape seeds, is amazingly fresh and because it’s got a creamy consistency, you can decide on the level of scrub you want. If I have a super dry area, I use a washcloth with the scrub to get really smooth skin. This is going to be a necessity for the next few months of shaving and waxing season and then in the winter when my skin gets flaky. One word of warning, this is way too strong for your face, so don’t try it. 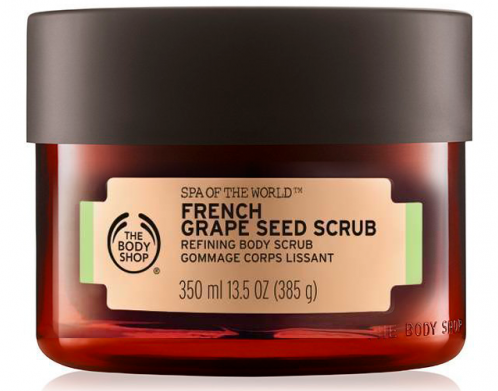 If you’re going to use a scrub, you’re going to need a good moisturizer after and this body cream is a match made in heaven with the French Grape Seed Scrub. 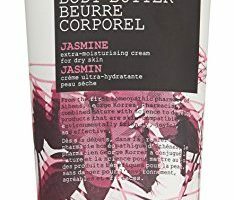 I’m a coffee person, so I was already sold on this cream just by reading the name but it’s so much more than that. 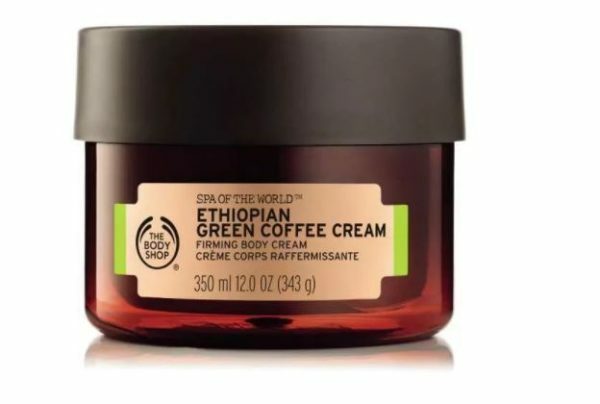 It’s a really lightweight cream that has Italian olive oil and Ethiopian green coffee that just melts into your skin and leaves you hydrated and smelling delicious but not greasy whatsoever. The consistency really surprised me because I usually find Body Shop moisturizers too heavy for me, but this one is absolutely perfect! It’s been a really long time since I’ve loved something from the Body Shop this month. I’ve already made a huge dent in the giant 350 ml tub and I already know I’ll be replacing it when it’s gone. This body wash is so soft and silky. The oil-in-gel body wash is just the right consistency. Given the name, it’s understandable that you might worry that it would be too oily or even greasy. It’s just smooth on the skin. The scent is really faint and lush. There is a hint of florals, but I wouldn’t call it a floral aroma. There is coconut oil in it, but this isn’t another coconut body wash. After a couple of uses, I was surprised at how soft my skin was. It was undeniable. This is the type of moisturizer that I associate with The Body Shop. It is thick and rich. 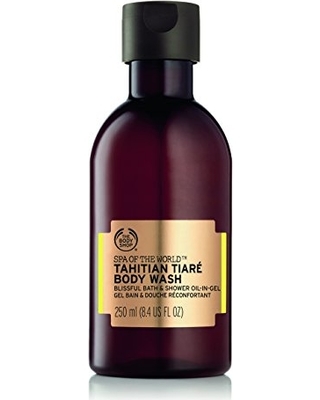 In the past, body moisturizer from the body shop was always thick, but it didn’t absorb well into the skin. It always left some residue on my body. 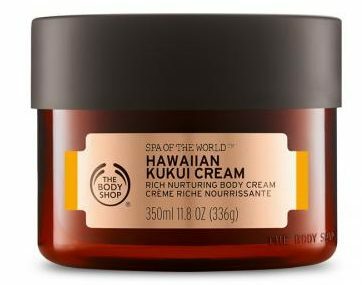 It feels like The Body Shop has corrected those mistakes with this cream. It still has the same thickness, but this time it really sinks into my skin. It works on even the toughest skin like elbows and knees. I’ve used a lot of exfoliators, but none as gentle as this exfoliator. The sugar in this scrub is so fine that it works on everything from the sensitive parts to your rough spots. The oil is probably the most surprising part of this. It is better quality oil than a lot of the other drug store exfoliators that I’ve used. It leaves your skin feeling protected and highly moisturized. When paired with the other two products, it’s the perfect trio! If you are looking for a fun imported product that isn’t going to break the bank. Check out Brompton & Langley. I tried their Hand Cream and Body Wash with equally lovely results. 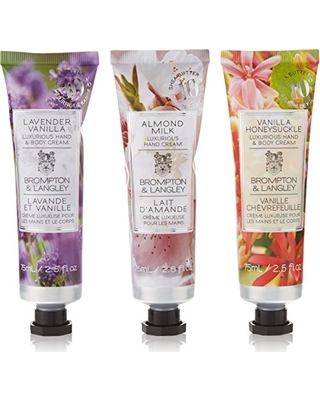 This UK brand comes in soft scents like Sweet Pea Jasmine, Almond Milk and Vanilla Honeysuckle. The scents are really subtle, but leave your skin feeling soft and lush. They make a great Mother’s Day gift. When I said we were serious about our body lotion and skin care in the winter, I mean it. 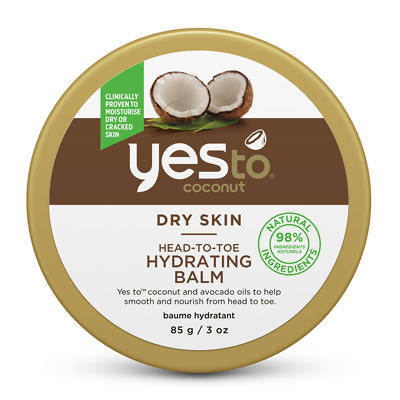 Description: Take moisturizing to the next level with a super moisturizing balm that is for the most extreme dry and cracked skin. The Yes To line creates products that are also natural on top of everything else using natural ingredients the way they were meant to. Look: This package looks pretty boring and unassuming. The little bronze package doesn’t look very exciting. The balm looks like margarine or maybe coconut oil. It doesn’t look very appealing. Scent: It does have a coconut scent, but since it is a balm there is also a kind of waxy scent to it. It doesn’t have an overwhelming scent, but it is noticeable. Feel: This is similar to coconut oil. It looks like a solid, but melts with your body heat to turn into more of an oil consistency when you apply it to your skin. Because of that, we agree that you should use it on only your most dry parts. It can be a bit greasy and oily for the rest of your body. It feels amazing on my feet. I can just slip my socks on after applying to keep the moisture close. Cost: This might be the strong moisturizer that you can get for under $10. I think this is an investment piece that you should always keep handy, especially in the winter. Description: I thought this was a regular moisturizer, but this product has little particles that help to illuminate the skin with a pearly glow, leaving your skin not only moisturized, but shimmering in the light as well. Look: This box is really pretty. The cream in the box has such a shimmery pearly shine to it. When you open the jar, the cream itself isn’t really that pretty. It’s smooth, but looks so thick and chunky. 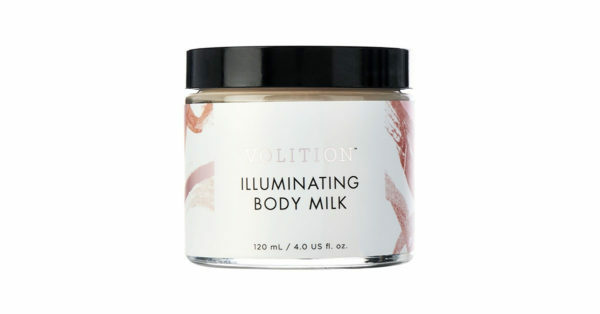 Scent: Somehow Volition made a body milk with no scent at all. I am not joking. I can’t smell anything at all. It’s really surprising. I truly expected it to smell all light with flowers and roses because of how it looked. Feel: In the container it feels somewhere between a paste and a gel. It’s really weird. If you can get over the strange feel, it does smooth quickly when you apply it. This milk almost completely disappears when you apply it. The shimmer quality is really subtle. It’s the adult version of those shimmer creams. It’s just a bit of a healthy glow, as opposed to a shimmer in the light. It leaves my skin feeling soft, but not really moisturized. This is definitely a luxury product, once you have an intense moisturizer worked out. Cost: This luxe product costs $35 for one jar, but think of it more as a splurge. It’s also a great gift for the girl who has everything. Description: This classic Crème has been around for over 100 years! I would bet that there is a whole generation of people who haven’t tried it yet. There are so many other options on the market that sometimes a classic is overlooked. Nivea’s Crème is perfect for all skin types, ages and any part of the body. Look: The all new Nivea Crème now comes in a blue tin that feels really iconic. It’s a great look. The white cream inside looks a bit like a paste. Scent: Nivea’s cream smells more medicinal or clinical. It’s not overwhelming. When you apply it to your skin, you can’t even smell it at all. Perfect for people who are sensitive to strong smells. Feel: This is the one cream where I feel almost instant results. My rough dry spots feel smoother without any residue left behind. Sometimes, you can’t beat a classic. Theirs is a reason Nivea has been making this product for so long. 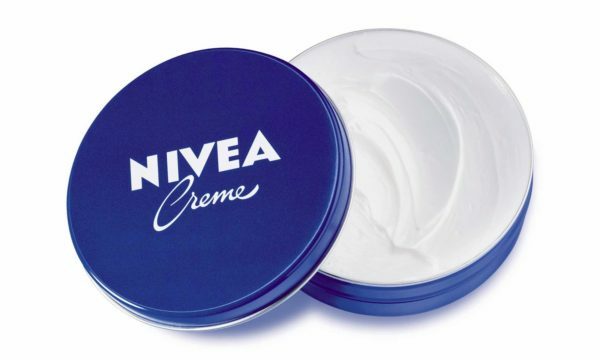 Cost: A tin of Nivea’s Crème runs between $10 and $15, but this is kind of a household must have in my books. One tin will last a while, so it’s well worth the money. In case you haven’t noticed, we are serious about winter skin care. On that note, we wanted to give you a deeper look at all of the body lotions, moisturizers and skin balms that have been making the rotation this winter to give you all the information that you need to make smart skin care decisions. From the packaging to the feel to the price, here is a look at some great body lotions for everyone any time of year! Description: This lightly scented lotion (which also comes in unscented) is ideal for the most sensitive of skin. It helps not only dry skin, but the driest, itchy skin. It’s made with their special oat formula that is meant especially for sensitive skin. 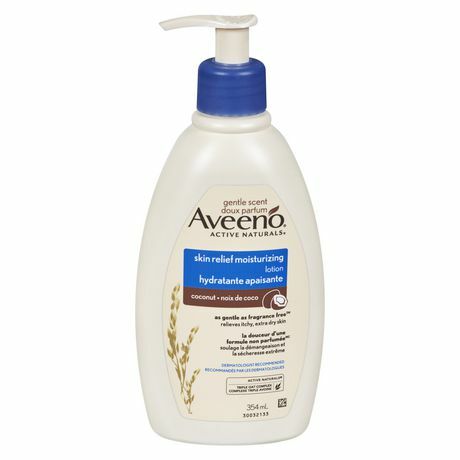 Look: It’s classically Aveeno. No surprises here. From the look of the bottle to the look of the cream. Scent: I am surprised that this can be considered as gentle as a sensitive skin product, because the coconut smell is rich. If you love coconut, like me, then you will like it. But it’s not subtle. Feel: This moisturizer is surprisingly thick when you spread it over your skin, because it doesn’t look any thicker than your regular moisturizer. It’s thick to spread and absorbs into the skin very slowly. It leaves my skin feeling still damp and a bit dewy for quite a long time after, which could be thought of as a curse or a blessing. Cost: You can get a 354 mL bottle for about $10, which is a great deal when you think about how well this cream works. I used it on an itchy new tattoo and keep one on my desk at work, so it’s clearly a favourite! Description: This moisturizer has pretty standard description of soothing rough skin and restoring your glow. 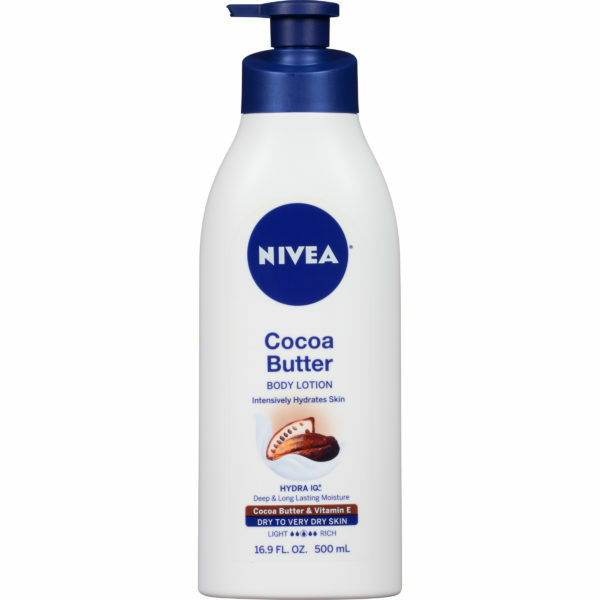 It’s a mixture of cocoa butter and Vitamin E that will restore your skin back to good health. Look: The bottle that I have is huge. It’s actually a bit overwhelming. This could be a lifetime supply of moisturizer, which is a little unnecessary. The lotion itself looks a bit thin, but fairly standard. Scent: The smell of cocoa butter is so soothing and nice, isn’t it? If you agree, then you will love it too. Feel: This moisturizer doesn’t apply as thin as it looks at first. It could have been a fluke, but on my skin it was really cooling. It applies thin and moisturizing and doesn’t leave my skin feeling tacky at all. I like that I can’t really feel it at all. I am just left with nice skin. Cost: This big 21.1 oz bottle is under $10 in stores, so you can’t find a place to get more for your money. Overall, it’s a pretty standard and straight forward moisturizer, so you can’t go wrong at that price. Description: Who doesn’t want to help the earth while helping their skin? Live Clean’s lotion is packed full of natural ingredients and organics and doesn’t have any of the additives most products have. They also come in great scents with little added benefits from different ingredients. Look: The packaging is clean and simple. The lotion looks simple. No tricks here. Scent: The scents of the Live Clean collection can be hit or miss. They seriously depend on your tastes. Choose your scent carefully based on what you are in the mood for. Feel: Live Clean’s moisturizer feels nice and smooth. They are fairly standard as far as moisturizer go. It works great on dry skin, but doesn’t last for hours. 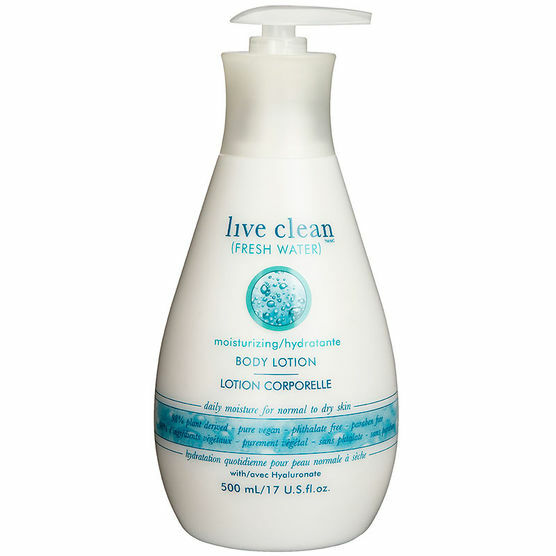 I find myself reapplying often when I use Live Clean lotion only. Cost: Live Clean is amazing value for the money. It’s one of my favourite brands. You can’t go wrong with it. This moisturizer is a steal at just $6. Description: Korres uses beautiful natural ingredients to help soften the skin and moisturize. They also use special oils that help improve elasticity and give better long term effects on your skin. Look: The bottles of these body butters are beautifully designed with different colours and styles for each scent. The cream itself looks thinner than some intense body butters. Scent: My Korres Body Butter is a beautiful jasmine scent. It’s fairly strong, but it’s more like perfume than just a moisturizer. It’s an advanced and complex scent. This isn’t a cheap throwaway smell that will hurt your senses. Feel: Sometimes body butter can be too thick. It can leave a film or texture on your skin. Korres has created a body butter that is surprisingly light. It’s soft and leaves my skin feeling pampered. 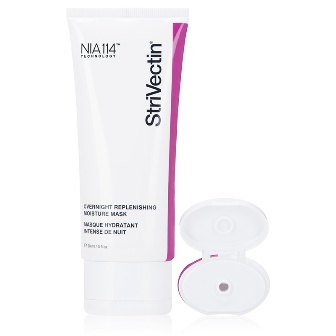 Cost: At about $30, this is a more luxury cream, but you will get a more luxurious result. Be sure to find the scent that is right for you first, because it’s a bigger commitment. It’s no secret that I am a huge fan of St. Tropez. 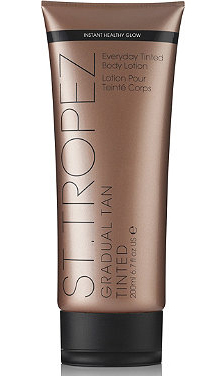 I’m not loyal to many brands, but St. Tropez is the only one that I trust my tan to in the off-season. It wasn’t surprising to me then to find another winner in the St. Tropez line with this Everyday Tinted Body Lotion. I usually avoid tinted moisturizers because I think they are a bit of a waste of time. I would rather invest my time and money in actual tanners. This time, I thought about it differently. I got my regular St. Tropez tan. Once I noticed my tan starting to fade, I opened my container of the Tinted Body Lotion. It’s easier to think of this like a moisturizer than a tanner. It smells like a moisturizer, it applies like a moisturizer and it feels like a moisturizer on your skin. The only difference is that after you apply this moisturizer, you need to remember to wash your hands. It dries quickly on the skin and after a few hours you can see the golden glow on your skin. The colour lasts for a few days and helps to rejuvenate your tan. This product is perfect for that transition period between tans. It was great on parts where my tan faded faster or that are too pale. It’s a great product to keep in your arsenal over the winter when your skin feels a bit too pale. It’s almost the middle of April but in Toronto we still haven’t seen spring. Which means my skin is still a dry, itchy mess and hasn’t started it’s yearly transition into greasiness. I’ve come up with my five Most Wanted products that have made winter bearable for my skin. I wash my hands pretty constantly and while all anti-bacterial soaps are banned from my house, most regular soaps are still pretty drying. 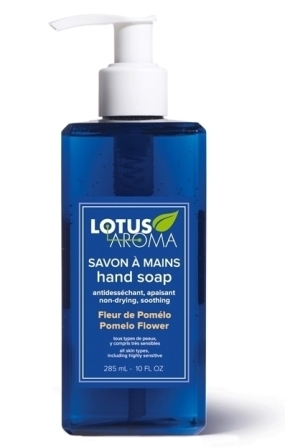 Lotus Aroma’s hand soap is almost gel like but lathers beautifully. It also cleans really well and doesn’t dry out my hands even a little bit. The Pomelo Flower scent is really light but still fruity and I really want to try the Jasmine and Grapefruit scent. There are so many good things in this soap, and all the bad has been taken out. But those lists are really long so if you’re interested, you can find out here. We use so many things on our faces that usually they’re not quite as dry as the rest of us. But if you’re like me and get patchy areas, you need a really good face cream. 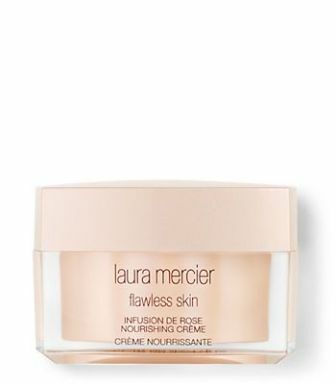 Laura Mercier’s Nourishing Creme has Mango and Shea butters added into the cream to really get your face hydrated. The gorgeous rose scent is an added bonus. 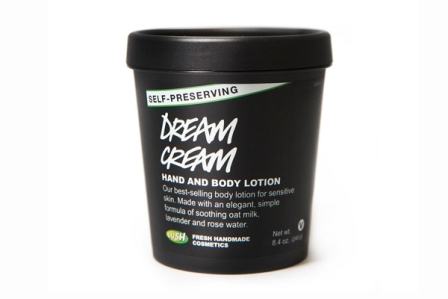 I had somehow never used Dream Cream until this winter and now I’m hooked on this lightweight cult fave lotion. I was relieved that it doesn’t just smell like lavender and while it does take a while to absorb, I use this on my more sensitive skin areas, like my legs. 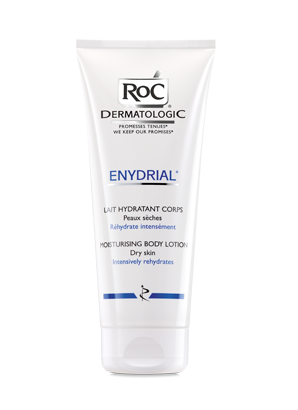 This is one of those year round products that you’ll be able to use for any skin sensitivity like dryness or sunburns. I love a good overnight mask and this new one from StriVectin is probably my favourite. While it dries pretty quickly, I usually apply it half an hour before I go to bed and I wake up with really soft skin. It also leaves me looking pretty radiant and it smells amazing. I love that I can get results when I’m sleeping. While anyone can use this cream, this is my hero product for anyone with super dry, itchy skin. Literally nothing else has worked as well for me. 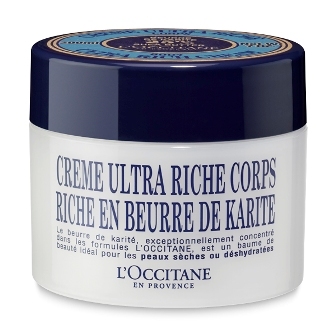 I was already a fan of L’Occitane’s Shea line (I went through the 150ml Shea Butter Hand Cream this winter alone) but I’d never tried the body cream. It fixed everything I put it on. Dry, scaly legs? Fixed. Rough Elbows? No problem. Any issue I could find with my skin, I could fix with this cream. And while it’s really thick, you only need a tiny little bit and it sinks in almost instantly. I’m going to start making sure I always have some in the house. Hopefully spring shows up soon and gives our skin a break, but in the meantime at least we have some relief. 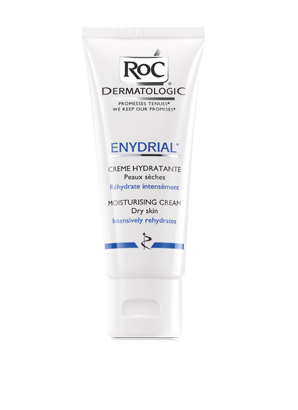 If you live somewhere that suffers through extremely cold, dry winters, even if you don’t already have dry skin you’ll end up with it. My skin already has dryness issues so by the time mid-winter hits my skin is itchy, flaky and generally unbearable. 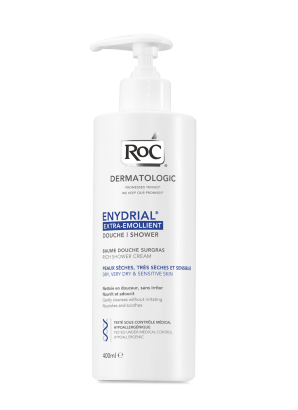 RoC’s Enydrial collection has pretty much saved my skin from the worst of it and it’s made for sensitive skin so it doesn’t cause other issues. I love that this comes in a pump and lathers really well. There isn’t a scent (which I normally love) but my skin feels moisturized even before I add lotion. This isn’t supposed to have a scent either (none of the line is) but there is a really faint one that I actually love. This lotion isn’t nearly as thick as I was expecting but boy does it get the job done. 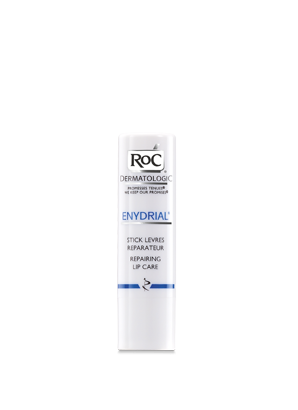 It’s extremely hydrating and you don’t need a lot of it and there’s absolutely no stickiness. This face cream was the biggest surprise for me. You really don’t need to use a lot and your face feel so soft and hydrated. I have combination skin that’s almost an equal amount of dry, oily and sensitive and this works perfectly for me. I’m not a huge fan of stick lip balms but this one is fantastic for putting on before you go to bed. It’s pretty thick so I can usually still feel it in the morning and if you have really chapped lips, you might want to try it. This hand cream is not only my favourite product in the line, it’s also by far the best hand cream I’ve ever used. It’s glycerin based, so it has a little of that slick feeling at first but it absorbs almost immediately. If I put it on at night, I still feel it most of the next day and it’s healed every dry skin issue I had on my hands, along with scrapes and cuts. 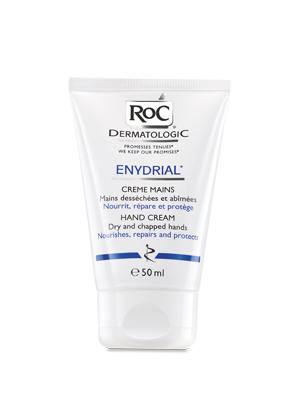 I don’t know if my hands would’ve made it through winter without cracking if I hadn’t had this cream.